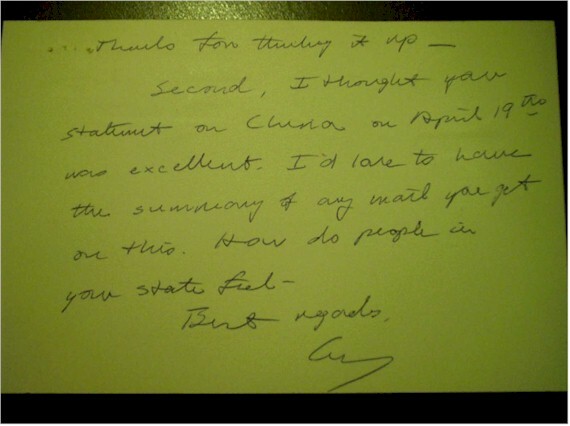 VERY RARE in handwritten form. Rarely does a George Bush (President #41) appear on the market. 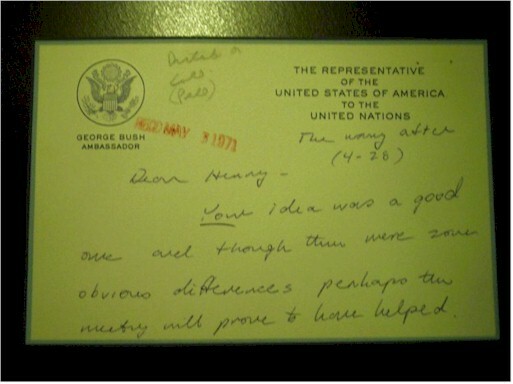 Very nice on original Ambassador note card from 1971. In part, "Dear Henry, Your idea was a good one....." Continued and signed on the back.